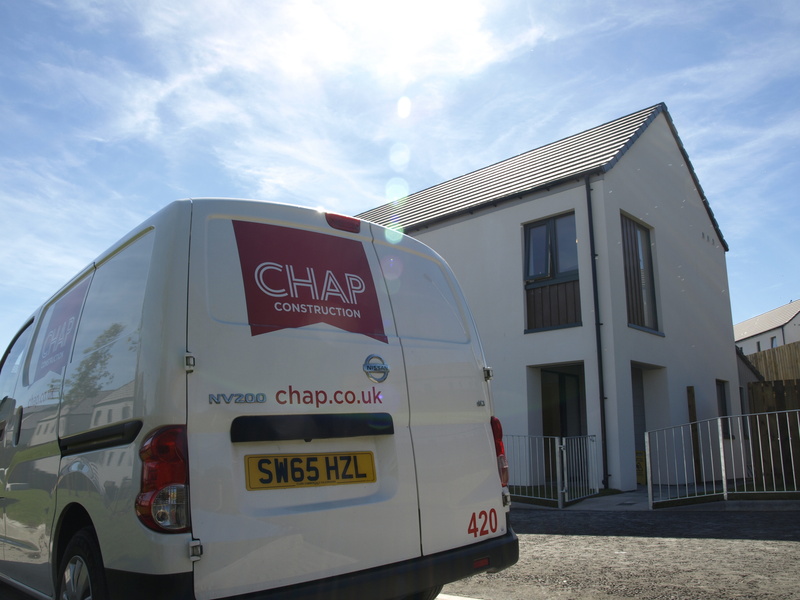 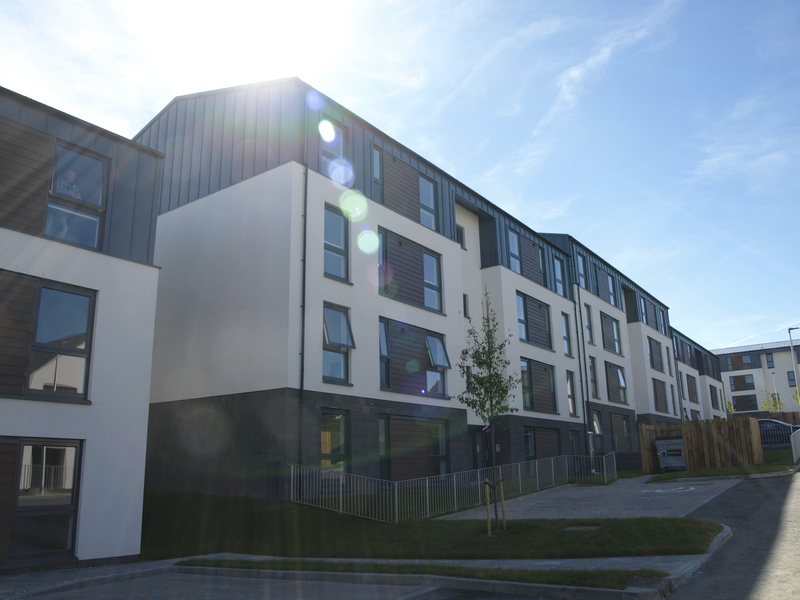 A turnkey development comprising the design and build of 99 new build houses and flats which marks a key milestone in the local authority’s objectives to roll out thousands of new, affordable homes over a two year period. 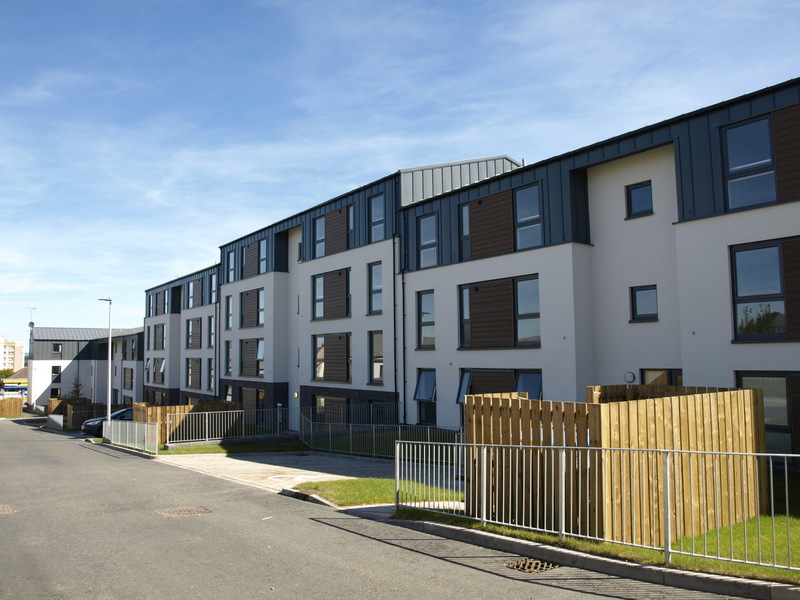 This first phase was handed over in May 2017 with the full project completed in June 2018. 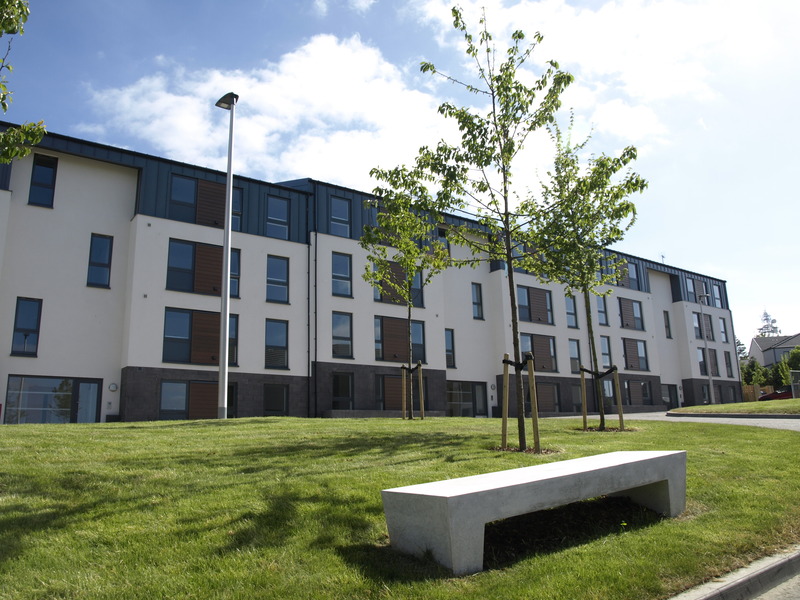 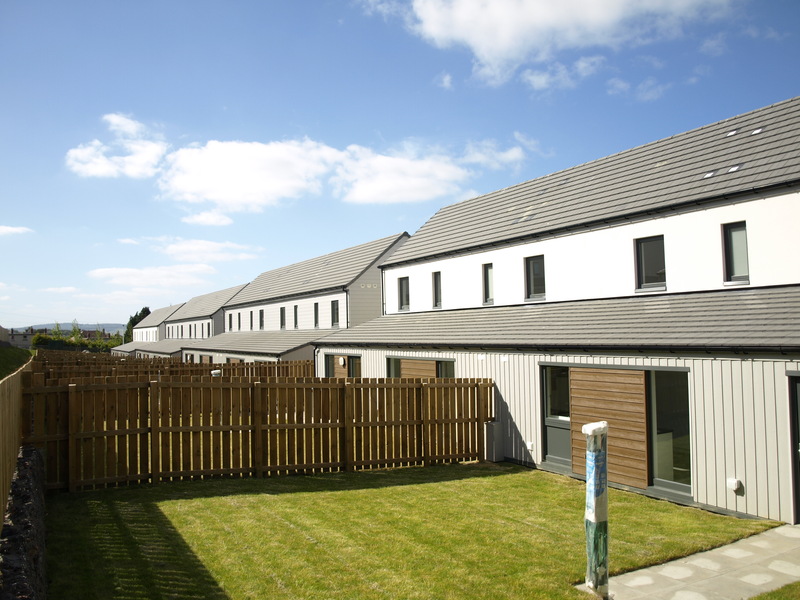 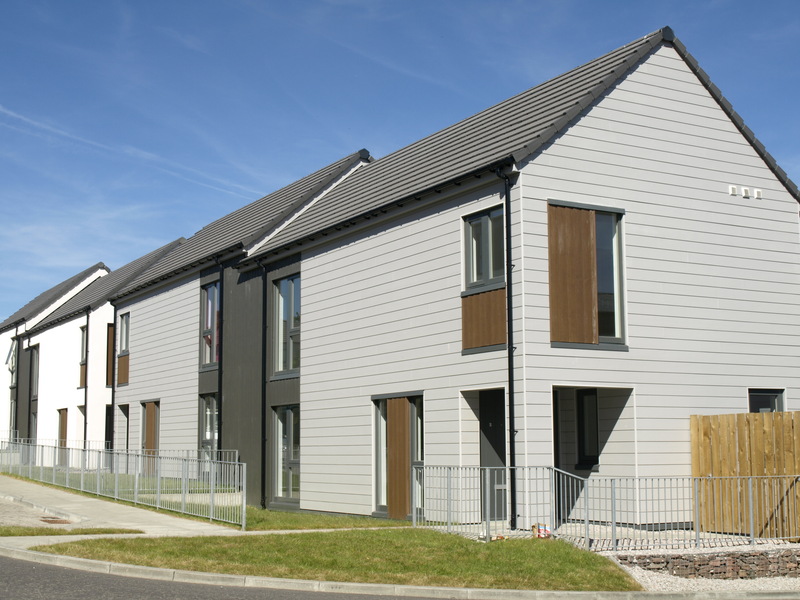 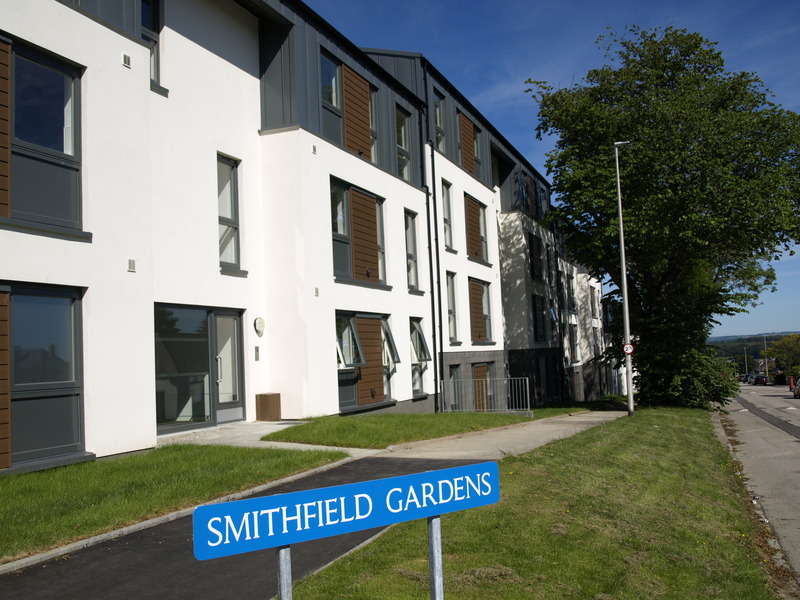 The houses and flats feature a number of energy efficiency features including being linked to a local District Heating System and all have achieved the Silver Standard sustainability level. 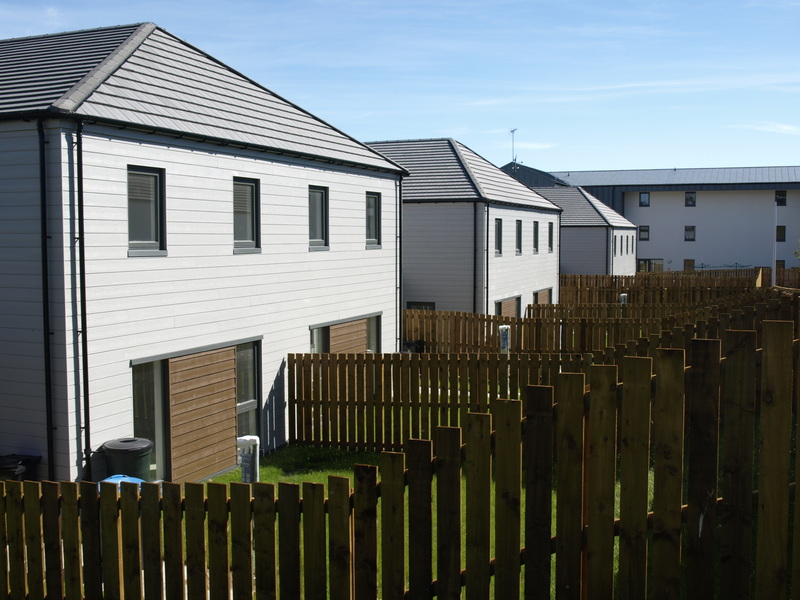 The development, which caters for families of all sizes and needs, provides semi-detached and detached properties of up to 4 bedrooms and one and two bedroom apartments. 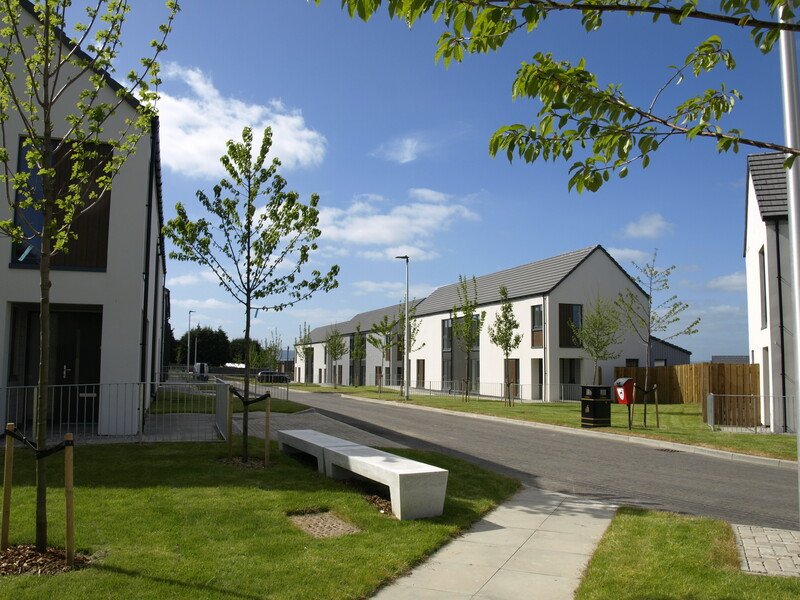 Each property benefits from the open green spaces, a revamped play park opposite the site and a western footpath connecting the new housing with the surrounding community. 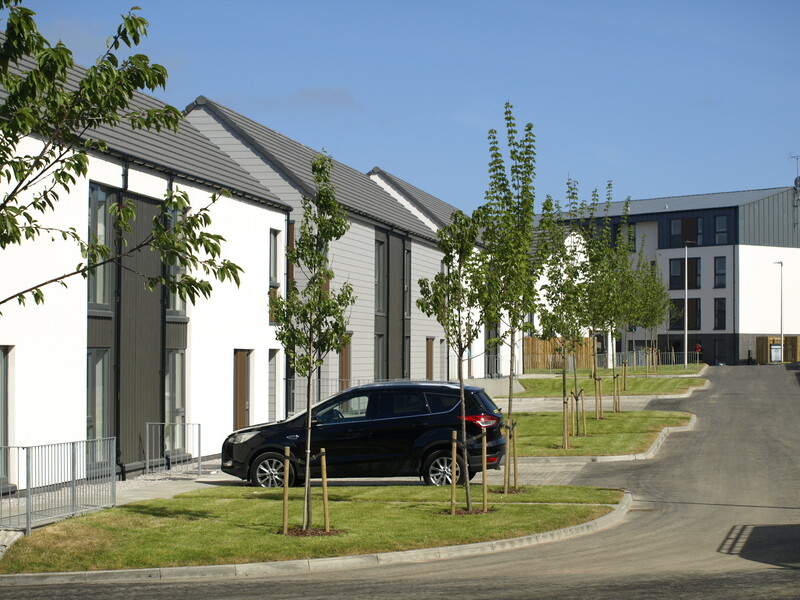 The site layout has been designed to build on the safety of pedestrians and encourage movement.